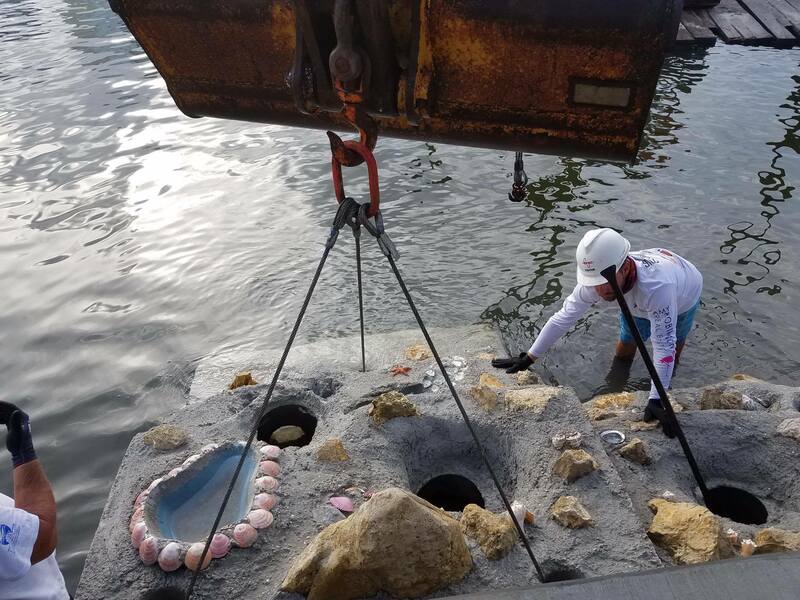 Mote Marine Laboratory scientists are monitoring the new “living seawall” installed by the City of Sarasota last week along 262 feet of Sarasota’s Bayfront Park with the goal of attracting more marine life to benefit Sarasota Bay. The living seawall is a series of naturalistic concrete, rock and shell structures full of nooks and crannies designed to attract fish, oysters and other living things, absorb wave energy without causing erosion, and improve aesthetics. 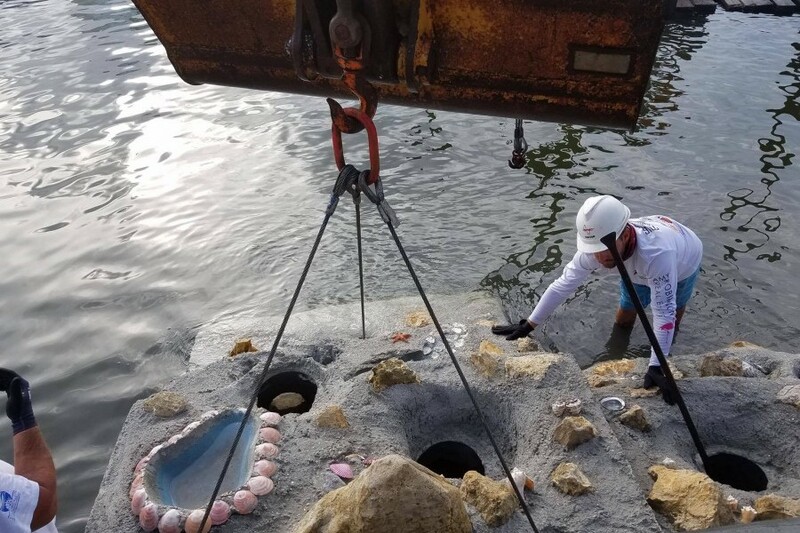 It was made possible through the city’s collaboration with the Sarasota-based company Reef Innovations and was funded with settlement dollars from the BP Deepwater Horizon oil spill. The new installation presents an important opportunity for research on living seawalls, which are increasingly popular due to their purported benefits over the more homogenous, traditional seawalls used to harden many shorelines against erosion. Mote scientists gathered baseline data on site before the living seawall installation, and they will sample periodically for two years, focusing on: the abundance and diversity of marine life; water chemistry features such as nutrients and pH (related to acidity and alkalinity); physical characteristics such as water temperature and the height and frequency of waves; and soil structure, which helps shape the bottom-dwelling community of animals and plants including seagrass. They will also sample other habitats without living seawalls for comparison, including intertidal sand-shell-rubble substratum, sandy beach and a more traditionally structured seawall.